“Power and Its Price,” the 11th episode of The Asterisk War, shows us the price an Ogre Lux can impose on its user. Amazon’s selling an attractive mouse pad showing The Asterisk War’s main characters. You can buy it here! In between matches, Claudia Enfield expresses how happy she is to finally get some private time with Amagiri Ayato. Her happiness is short-lived because Toudou Kirin calls and says she took her eyes off Sasamiya Saya for just a moment, and now the directionally challenged young woman is lost. Ayato’s unsure if Claudia’s really upset or not, so all he can do is apologize and join the search for Saya. Claudia was less than happy at Kirin interruption. Or was she just playing with him? Capture from the Crunchyroll stream. While searching for Saya, Ayato encounters Priscilla Urzaiz, who’s being chased by thugs from a casino where her sister, Irene, had caused some problems. Of course, Ayato, being Ayato, helps her evade them. She’s grateful and all seems well until she mentions that she had moments ago called her sister Irene for help — the sister who has a terrible temper, is overly protective of her sister, and who jumps to conclusions. Before Ayato can ask Priscilla to call Irene to explain his role, Irene arrives and threatens to destroy Ayato. Priscilla convinces Irene that Ayato really did help her. Further, Irene’s suspicious about what Ayato was doing when he found Pricilla are put to rest when Saya calls and says that Kirin found her. That didn’t solve the issue from Irene’s perspective. She blasts into Dirk Eberwein’s office at Le Wolfe Black Institute, terrifying poor Kashimaru Korona in the process, to accuse Dirk of reneging on his promise to keep Priscilla safe. He explains that the elite, almost invisible Cats who are guarding Priscilla don’t care if “just a regenerative” like her gets slightly injured. Infuriated, she strikes at Dirk, only to find a power that she suspects is a Cat stops her blade. Dirk explains that if he’s out of the way, there’d be no one to protect Priscilla. Plus, he said that Cats didn’t intervene with the thugs because Ayato got in the way. She complains that she still owes Ayato and needs to pay the debt before their Phoenix Festa match. After she leaves, Dirk asks Korona to do a “reading.” She tells him she has good news: she sees the sisters’ victory. Knowing the results of Korona’s readings are “absolute,” he contacts the Seventh Golden Eye. To say that Julis-Alexia van Riessfeld was annoyed that Ayato was going to have dinner with the Urzaiz sisters was an understatement. However, she had come to understand how he is, so she said she’d accompany him to their apartment. Priscilla, an apron over her clothes, welcomes both of them. While Priscilla finishes cooking, Julis and Irene verbally spar (Irene seemed to win). Priscilla interrupts them with a delicious meal, and even Irene seems to relax and enjoy herself. Irene lets slip that she spends so much time at the casino because she’s trying to earn money to pay back a huge loan she took from Dirk. One of his conditions was that she cannot use money from any Festa to pay her debt. Effectively, this keeps her his slave indefinitely. No one is surprised that she hates Dirk. To pay Ayato back for saving her sister, Irene divulges that she is under orders to destroy Ayato in the Festa. Not score a victory against him — destroy him. She also mentions that Dirk apparently saw someone else wield Ayato’s Ogre Lux before. In other words, Dirk had seen Ayato’s sister. To pay her debt to Ayato, Irene confessed she was under orders to destroy him. Julis was understandably concerned. Capture from the Crunchyroll stream. After dinner, Priscilla walks them to the street. She confides that she hates the battles, but because her sister is fighting for her, she’ll stay with Irene for as long as it takes. She further confesses that Irene becomes terrifying while she wields her Gravi-Sheath. The weapon seems to exert more and more influence over her the longer she uses it. Of course, Ayato can’t leave that alone, so he contacts Claudia to ask for help. In the middle of the night, apparently unable to use the front door, Ayato leaps to her balcony and enters through a window. He finds Claudia sleeping fitfully at her desk, and when he wakes her, she is under the influence of her Ogre Lux. He’s barely able to evade her attacks before she awakes. 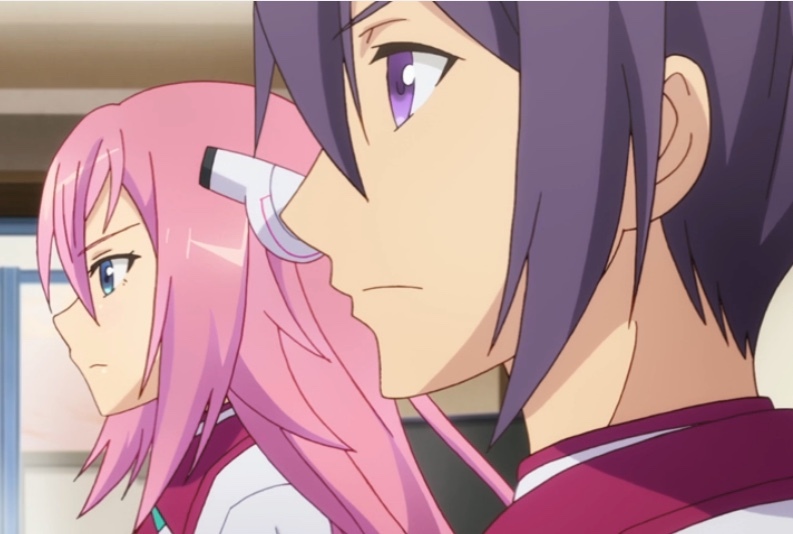 After apologizing all over herself, she asks Ayato if he and Julis will join her team for the next year’s Festa. He agrees, and she tells him the secret of why she attacked him. Her weapon gives her the power to see a few moments into he future. The price is expects in return is that she has to experience a different possible death every time she sleeps. She tells him she’s already died more than 1200 times. Before her, no one had been able to keep the Ogre Lux Pan-Dora for more than three days. She finds Ayato’s worry about her touching, and she tells him that for her dream to come true, she really needs this particular Ogre Lux. She’s keeping that dream secret for now. Ayato finally asks her about Irene’s Ogre Lux, the Gravi-Sheath. Claudia doesn’t have a lot of information, but she shares that the Gravi-Sheath is one of the weapons that has a personality that modifies the user’s mindset and body according to its wishes. Ayato finds the information useful. Claudia invites him to stay the night. Of course, Ayato panics and leaves. The last scene shows us Julis contemplating the picture of her friends in the orphanage, of Irene having gone on a rampage standing among dead bodies, and of Pricilla staring out the window worrying about her sister. Claudia continues to play with Ayato. It reminds me a lot of my cat playing with her toys, though I don’t get a sense that she means him any ill at all. Quite the contrary; I think she’d like to have a relationship with him. But her station and her responsibilities seem to make that impossible. That makes her feel like a tragic character to me. Dirk is a character I enjoy disliking. He’s inscrutable, but he’s clearly thought out his plan and is committed to executing it. He seems to know how to work the politics around him. Those things make him very, very dangerous. Just before Korona’s reading, the scene showed a slow zoom into the Le Wolfe Black Institute. You could still see the damage that Irene had inflicted on its dome. I enjoy that kind of continuity and detail. Korona seemed happy (relieved?) that she could give Dirk good news. Capture from the Crunchyroll stream. Julis, exasperated that Ayato accepted the dinner invitation (and that he helped Priscilla in the first place), tells herself that she needs to accept this part of him if she’s going to “hang around” with him. She’s practical! The dinner scene in the Urzaiz sisters’ apartment felt charmingly domestic. For me, it really increased my sympathy for the dreadful predicament that the sisters are in. Without the political motives keeping them in servitude, they might have had an enjoyable life of their choosing. The price Claudia’s Lux Ogre levies is that she has to live a possible death every night. She tells Ayato she’s experience death over 1200 times, and that she’s one of the first people who’ve been able to manage that stark side effect. Her mom’s personality had to been molded to accept power in the Integrated Enterprise Foundation. She’s student council president, and her weapon forces her to die every night in her dreams. It’s amazing to me she can function at all, much less be the complex and sometimes playful character she is. 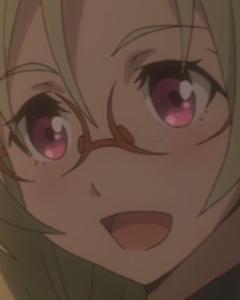 She might be my favorite character in The Asterisk War. I think Claudia was actually touched that Ayato was worried about her! How unexpected (unless she was faking it, of course)! Claudia seemed genuinely touched that Ayato was worried about her. Capture from the Crunchyroll stream. I have no idea how Claudia would react if Ayato agreed to spend the night. I like the ambiguity in her character. Is she really after him? Teasing him? Unsure herself which it is? I understand that Saya has trouble with directions. But wouldn’t their portable terminals have some sort of GPS in them? Heck, even our cheap cell phones do. I wish the show had used a more inventive excuse to send Ayato into the business district. Ayato decided he wanted to help Priscilla and Irene. Julis, of course, isn’t thrilled, but she goes along because she’s his partner. I admire her for deciding to support him. However, there’s a question about of this show I’ve been ignoring because I’ve been enjoying it so much. Would Ayato be so willing to help Julis, Saya, Kirin, Priscilla, and Irene if they were men? One of anime’s cliches is the harem: one guy surrounded by several beautiful women who vie for his attention. Typically, the male either won’t make a decision, or isn’t even aware that he needs to make a decision (I’m looking at you, Ichika Orimura!). 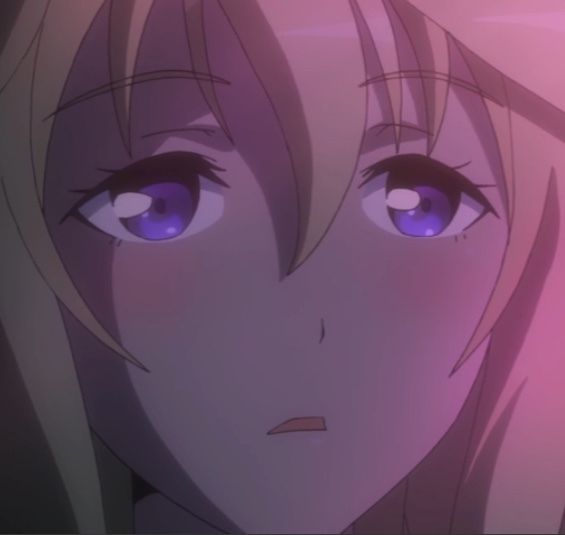 Is that all The Asterisk War is? Some of the signs are there: I’m not sure Ayato is aware that Kirin and Saya are romantically interested in him. He seems to be open to Julis, though it’s almost like he sees himself as Sir Galahad to her Arutoria Pendoragon (with gratitude to Fate/Stay Night for giving me a gender-appropriate monarch!) — with an emphasis on the “chaste” part. 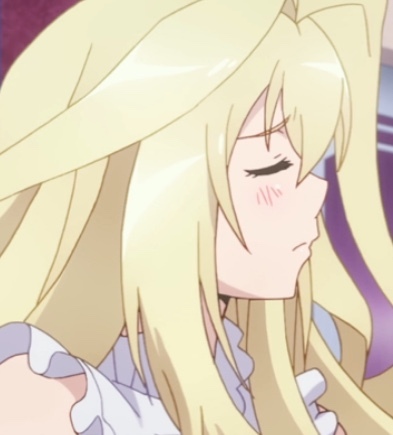 And though he’s certainly aware that Claudia’s interested in him, he shoots her down, and it seems to me that it’s more out of consideration for Julis than anything else. Though to be fair, I had to admit that’s pure conjecture on my part. There are harem elements here, but I think that The Asterisk War has at least attempted to give the harem cliche a slightly different spin. One piece of evidence I’ll offer is this: Ayato has consistently tried to help with Lester MacPhail. Even though Lester’s made it clear he wants little to do with Ayato, Ayato still tries to help Lester when he can. It just seems to be part of his personality. As far as I can tell, Ayato would indeed have helped Priscilla, Irene, and the rest of they were men. The real question, then, is would the audience have gone along for the ride? Would I have? It looks like next week’s episode will feature the Festa match between Ayato and Julis and Irene and Priscilla. It should be a weighty episode (get it? weighty because Irene’s Ogre Lux is the Gravi-Sheath? Oh…. Never mind! ).